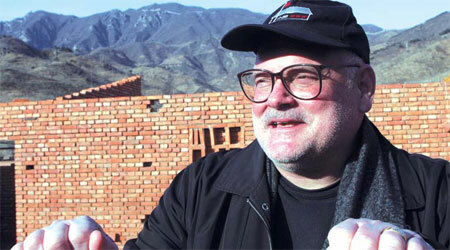 American Jim Spear's life changed and a unique location-oriented sustainable tourism business model was born after a vendor approached him on the Great Wall in suburban Beijing's Mutianyu village in the 1990s. "I think he wanted me to buy a T-shirt. I got a house instead," Spear recalls. This was the starting point for the maverick enterprises Spear, with his wife and business partner, Liang Tang, developed in the small rural settlement. The restaurants and lodging they have invested in use existing buildings, hire and train villagers, buy local ingredients for their homemade meals and support local ventures. "They have provided many job opportunities here," said Wang Quan, village chief of Yingbeigou, the hamlet neighboring Mutianyu where the couple has also invested in lodging and dining enterprises. "Now, villagers seldom have to leave the village. They can sell their fruit here, which is quite convenient." Contractor Yang Maohai, who is now renovating an abandoned tile kiln into The Brickhouse inn, a hotel with 16 rooms and meeting facilities in Yingbeigou, says he is thankful for the contributions the couple has made to local prosperity. "They were the first to do business here. First came the guests, then came development and our fortunes grew," the Mutianyu resident says. "With them, I can make a profit and make good friends." Today, the the couple's Chinabound Ltd company invests in three restaurants - The Schoolhouse Canteen, The Roadhouse and Yingbeigou-based Xialumen - through their majority-owned offshore entity China Offshore Holdings Ltd. Through China Countryside Hotels Ltd, the company helps people leasing houses in the village find guests seeking holiday stays in the countryside and is investing in two inns - The Pines and The Brickhouse - slated to open later this year. "I remember being taught early on: location, location, location. So from a tourism point of view, we have a beautiful location, not only with the beautiful air; there's also forests, trees, mountains and the Great Wall," Spear says. "We're located about more than an hour's drive from downtown Beijing. People who live in cities need to get away, and we have a site out here with blue skies and fresh air." The "mother ship" of their business was Schoolhouse Canteen. 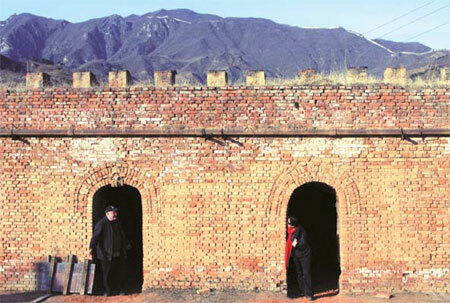 Villagers who had become wealthier from Great Wall tourism were sending their children to city schools in the 1990s, so the township consolidated its student body into one school. Mutianyu's primary school building remained empty until Spears and Liang - also a US citizen - leased it from the local government in 2006. "The village council held a public meeting to discuss whether or not, and on what terms, they should lease this property to those foreigners, those outsiders, because it's not just being an American here that makes me a foreigner or makes my wife a foreigner, or our partners foreigners; it's that we're not villagers," Spear says. "They unanimously agreed that to help the development of this village they would lease us property, and I can tell you that since we've started, we've had nothing but help from the local government and the local people." The Western restaurant was successful, so the couple invested in The Roadhouse, which serves nongjiafang (farmers' home cooking) modified to suit Western tastes, and Xialumen noodle shop. Like the restaurants, the lodgings aim toward the high-end market. "There's money to spend here, so what you have to do is prove to your target customers that it's worth spending they're money on you," Spear says. Their target market includes overseas tourists, long-term expats in Beijing, the capital's diplomatic community, multinational and local corporations, and increasingly, the "vast Chinese middle class". "So, adding zeros and zeros to our revenue comes not from foreign tourists, it comes from Chinese people," Spear says. "Each class of target customers provides us with a significant proportion of our business, which is one of the reasons that I'm confident that our business will continue to develop in a healthy way even in tight economic times." Spear says the Olympics were good for them in that they hosted such major Olympics corporate sponsors as including Coca Cola, NBC, Omega, Visa International, Hilton, Chevron, Volkswagon and Lenovo. But he blamed the tourism visa restrictions during that period for affecting their profitability. "And then we get a double-whammy on top of that, because no sooner than we had recovered from the Olympics and the visas start flowing again, and people start coming back, then the world goes into an economic crisis that has a very large impact on the tourism industry," Spear says. He says some of their clients who operate tours from the United States say their business has dropped by 20 percent to 40 percent. "I think that when you look at how business operates, to have multiple tens of declines in the scale of your business is extremely difficult to deal with in the short run because you plan and operate a business on the basis of a set volume," Spears says. The only changes so far have been limiting headcount growth and becoming more vigilantly cost conscious. "We're fortunate because I think we have a superior product at competitive prices, so our aim in the short run is to continue with our original strategy of capturing market share."